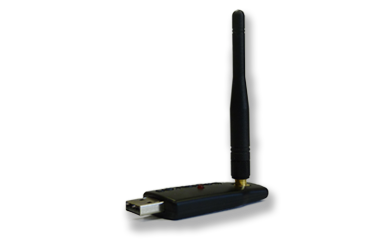 This USB device connects to the USB port of a PC and communicates with all Newsteo radio data loggers. 1/4 wave antenna. The 1/4 wavelength antenna of the key is screwed thanks to a SMA connector. It is very easy to connect other types of antenna to increase range: see Newsteo antennas.